Missing person cases can be sensitive. Trying to find a missing friend or family member is an understandably personal endeavor. 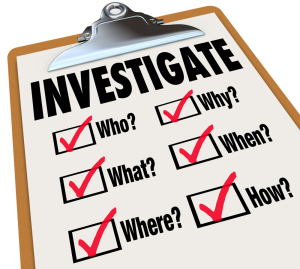 When looking for the right private investigator to help you with your case trust is of the utmost importance. You want to be sure that the PI you hire is licensed, experienced and has a clean record. You want to know, beyond a shadow of a doubt, that the PI you chose will do everything in his or her power to find who you’re looking for. It’s also important that you feel comfortable working with your PI of choice. If you live in New York City, or any of the surrounding areas, New York Intelligence Agency has the PI you’ve been looking for. Owner David Schassler is the best private detective in New York. Don’t live in New York? Don’t worry. New York Intelligence Agency takes on investigation cases worldwide. Now let’s talk missing persons… Let me paint you a picture: You’re 25 years old and out in the world completely on your own as an adult for the first time. You scored a great job, have an amazing circle of friends and an equally amazing significant other. Life’s puzzle pieces have all come together and yet something is still missing. You were raised by your single mother and although she is an amazing mother and the two of you are extremely close, the weight of your missing father has always weighed on you. Your father was never present. Maybe you’ve seen a couple pictures or heard a couple small stories; but for the most part when you’ve asked your mother about your father she has at worst had terrible things to say about him and at best has said nothing at all. You accepted this growing up and convinced yourself that being lucky enough to have such an amazing mother was all that mattered. But the truth is you’d just like to know something concrete about your missing father figure. So you get your hands on those rare pictures of your father that your mother somewhat surprisingly kept. You do some Googling on your own. Maybe you dig even deeper into other search engines and missing person programs. But New York private investigator is not the title on your business card. Now you’ve reached the point when it’s time to hire a professional. Your next Google search is “NYC private detective agency” and lucky you! You find NYC private investigator David Schassler at New York Intelligence Agency—the finest investigation agency worldwide. Now you’re in the hands of a professional and you can trust that if there is something to find on your father, Schassler will find it.